The National Initiative for Democracy campaign kicked off the National Initiative for Democracy Campaign in the state Maine in September 200. People’s Lobby financed that total campaign by lending $450,000 of People’s Lobby’s money to non-profit organizations controlled by former Alaskan U.S. Senator Mike Gravel. Former Senator Gravel and his organizations have rebuffed all People’s Lobby’s request to begin a pay back process. They have made no efforts to repay any principle or interest. They even failed to give People’s Lobby an understandable accounting of expenditures. About half of the nation’s states now offer their citizens the right to initiate legislation, refer issues to a direct citizens vote, and recall public servants. The nation does not yet have a national initiative. and place on the Congressional agenda a proposal to implement a National Initiative process..
People’s Lobby Steering Board of the “Fanatic Fifty mules” ran campaigns from the Los Angeles office and home of People’s Lobby founders, Ed and Joyce Koupal. In the 1960’s and 1970’s special power interests promised that the nuclear industry would deliver us “power too cheap to meter.” People’s Lobby was one of those groups at the forefront of challenging this thesis and educating Americans to the dangers of nuclear power. 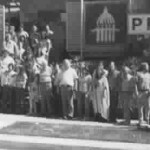 People’s Lobby began a serious debate of nuclear issues by qualifying its Clean Environment Initiative in 1972 and by training, organizing and helping place the Nuclear Safeguards Initiative on the June 1976 ballot. People’s Lobby’s skill and determination in changing policy and educating through the initiative process led Ralph Nader to invite the Lobby to the “Critical Mass” conference held in Washington D.C. in 1974. At a meeting with Nader and other leaders who had shown an interest in continuing the thrust of citizen action into the nuclear power problem, the Koupals convinced them that the legislatures were too controlled by special interests to enact safe energy laws. The answer the Koupals proposed was to have the people themselves enact safe energy laws through the initiative process. Ralph Nader gave the idea his support and agreed to assist the Koupals in birthing this national effort. Consequently, the Western Bloc was formed — a partnership of up to 20 states* which allowed each group to maintain full local identification and individual thrust. 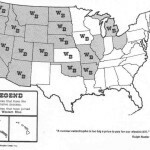 The campaign strategy was to have almost all the state that had the initiative process qualify “Safe Power Initiatives” for their states’ ballots in 1976. Up until then decisions on the construction of nuclear power plants were primarily made by the investor owned utilities and the Federal government. 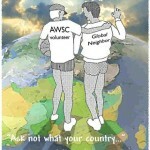 Western Bloc intended to bring the educated citizens of almost 20 states to the decision makers table. 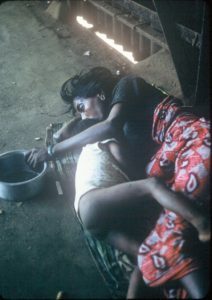 *Eighteen WB states had the initiative process, two who joined did not have the process. The nuclear industry pumped tens of millions of dollars into each of the states to defeat the initiatives. But one of the benefits of running an initiative campaign is that it often forces the electorate into maturation by forcing it to become educated on issues that before were known and controlled by a handful of special interests. Win or lose, in grassroots driven initiative campaigns, citizens mature, get smarter, and exercise their franchise. Since 1978 (and through the 1990’s), after the effects of the Western Bloc Safe Power Initiatives sunk into the public’s consciousness, no new Construction Permits ( CP ) were issued through the United States Nuclear Regulatory Agency for Nuclear Power Reactors. The well financed vested interests spent uncounted tens of millions (campaign disclosure laws were weaker then) on media, slick mailers, and scare tactics. In the end, however, a much larger percentage of the American public became aware of the dangers of developing nuclear power plants as an energy panacea. The Western Bloc Campaign was the closest the nation has yet come to running a national initiative. 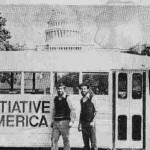 In 1976 People’s Lobby souped up an old school bus, filled it with two of its volunteers, John Forster and Roger Telschow, and sent them driving to educate the nation on the need for a National Initiative. 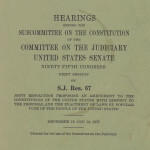 By 1977 People’s Lobby’s Forester and Telschow had convened Senate Judiciary Hearing on the Voter Initiative Constitutional Amendment, to implement a National Initiative Process. Joint resolution proposing an amendment to the Constitution of the United States with respect to the proposal and the enactment of laws by popular vote of the people of the United States. It did not, as you know, give the nation a national initiative process. David Brinkley, in an NBC Radio news commentary of July 29, 1977 summed up some of the reasons some Americans want a national initiative process and why America still doesn’t have one. “Well, as one who is and always has been distrustful of large, self-serving organizations such as government bureaucracies . . . and as one who is sick and tired of pious, self-righteous, patronizing rules and instructions from Washington.., of heavy-handed bullying of the public about how much of their own money they’re allowed to keep… I must say Abourezk’s (sponsoring Senator from South Dakota) idea does have a certain appeal. There are many serious questions to be asked. And some aspects of it are highly dubious. But I do believe we need some way to get a rein on government and bureaucracy. Today the national Initiative idea lives on in part due to the efforts of one of the supporters of those 1977 hearings. Former US Senator Mike Gravel (Alaska 1969-81) said, “I’d like to dedicate the rest of my life to making the national Initiative process a reality.” With that goal in mind, Senator Gravel chairs the Philadelphia II Board whose goal, like that of People’s Lobby, is to promote and implement a National Initiative Process for the nation. But the real engines behind the National Initiative movement came from its clean, hard running engines, Edwin and Joyce Koupal. “The erosion of public confidence is due to the misuse of money and power. We’re creating the missing institution in the U.S. We’re putting checks and balances between the legislature and the people. In 2002 a book on the Koupals and People’s Lobby was produced from a larger 300 page yet unpublished manuscript, Ordinary People Doing the Extraordinary by Dwayne Hunn and Doris Ober. The book was produced as part of the Ed and Joyce Koupal Memorial conference held for 2.5 days in Williamsburg, Virginia where leading scholars and activists vetted the proposed NI4D doocument prior to launching the NI4D campaign. In 2009 Ralph Nader put it on this Top Ten Books for 2009, after having given copies to his top confidants to inspire them during his presidential campaign run. Nader admired the Koupals. In 2002 Mike Gravel, former short-time President of PLI’s Board launched the NI4D campaign out of Maine. Dwayne Hunn, long-time PLI activist, field directed the poorly initiated campaign. In 2002 and 2003 People’s Lobby provided loans and grants that amounted to almost all of the funding to launch the National Initiative for Democracy (NI4D)campaign. This was a substantial amount of funding. The NI4D campaign is now underway and depending on the payback of loans, PLI will be assessing its continued role in the NI4D campaign..
More can be learned about People’s Lobby and the National Initiative proposal and process from the video tapes (NI9801-05) available for review and purchase on our Funding page. Do you believe that most citizens mature and grow when increasing responsibility is given them? Does personal and public initiative strengthen and mature our governing process? With today’s technology and the nation’s continuing maturity should American citizens increasingly participate in policy making? Have you become increasingly concerned about special interests effects on our law making process? Are you familiar with the ‘first principles’ which our Founding Fathers used in conceiving the nation and its Constitution? Could implementing a National Initiative process based on those first principles help rejuvenate the public’s belief that “We, the People…do ordain…” is being carried out by our elected representatives? Might a National Initiative strengthen the political process via increasing political and social involvement and thereby increase individuals’ maturation and responsibility? Or would such a process weaken the political process? Would you support a National Initiative process?